YOU CAN REACH THE OFFICE BY FOLLOWING M-21 (MAIN STREET) TURNING NORTH ON GOULD STREET. THE OFFICE IS LOCATED BETWEEN M-21 AND OLIVER STREET ON THE EAST OF THE GOULD STREET. THE OFFICE IS A SINGLE STORY BUILDING. The Owosso Social Security office is located in Owosso 48867. The following page includes information for this location like the office phone number, hours of operation and driving directions. If you have any interests or comments about your retirement benefits or are interested in making an appointment, call the following Owosso Social Security office. The Owosso Social Security office is located in Owosso 48867. The following page includes information for this location like the office phone number, hours of operation and driving directions. 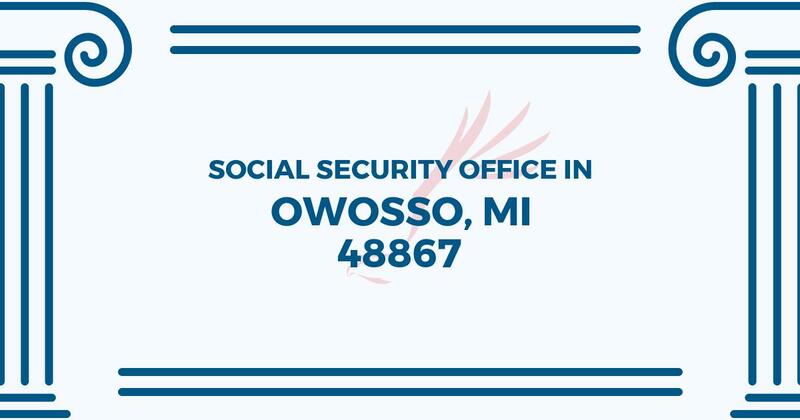 If you have any requests or comments about your Social Security benefits or are interested in setting up an appointment, call the following Owosso Social Security office.